No Bonus Casino is a Netent casino that provides players with a big range of video slot and table games. Instead of traditional bonuses, the casino provides cash back offers instead which can be more lucrative to players. The casino doesn't have a VIP club but instead treats all players like VIPs with a VIP Desk that is manned 24/7 to take enquiries. No Bonus Casino promises to offer brilliant customer service to all players and uses this as a draw instead of lots of bonuses. All the Netent casino games can be played for free without having to make a deposit or even open an account, and once the play money has been exhausted the game can be closed and opened to start playing again. Despite having a relatively simple site that may not look as flashy as some other online casinos, No Bonus Casino does present a number of unique features that regular slot game players are likely to find refreshing. No Bonus Casino offers a range of casino, live casino and jackpot games to players. The casino games are split into sections such as video slots, table games and lottery to help players easily find their favourite category. All categories have a system of small symbols that let you know whether each title is a jackpot game, a hot game or a game that's new to the casino. There are over 100 exciting video slot games to be played on the site meaning that it's perfect for avid video slot players. These feature titles such as Wild Diamonds, Disco Spins and Aliens. 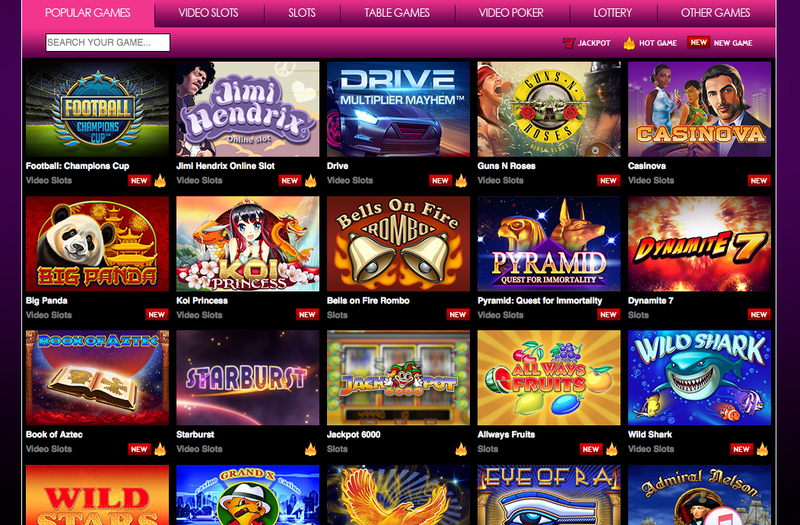 There's also a range of slot games, although this category is much smaller than the video slots. The slots include Bells on Fire, Mega Joker and Wild 7. There's a good number of table games available including several Roulette, Poker and Blackjack games. As well as the table Poker games there are also four video Poker games to choose from including Deuces Wild Multi Hand and Jacks or Better Multi Hand. No Bonus Casino also provides two other games- a lottery game called Lucky Double and the lottery style game Bonus Keno. The live casino streams games from two locations in Malta- the No Bonus Casino studio is open 24/7, while the Oracle and Portomaso Casino is only open at specific times of the day. The live casino section offers games such as Roulette, Blackjack and Punto Banco for players for those who like the excitement of table games.